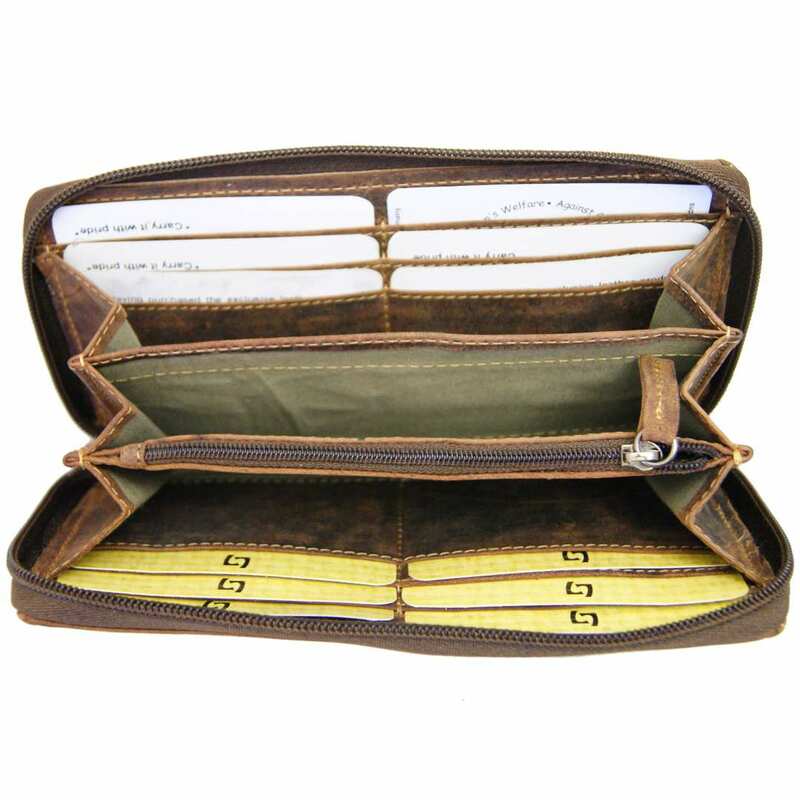 Product information "Women's wallet RIBANNA brown Western leather"
The valuable women’s wallet RIBANNA of brown Western leather is the perfect accessory to keep money and important documents safe while looking stylish. 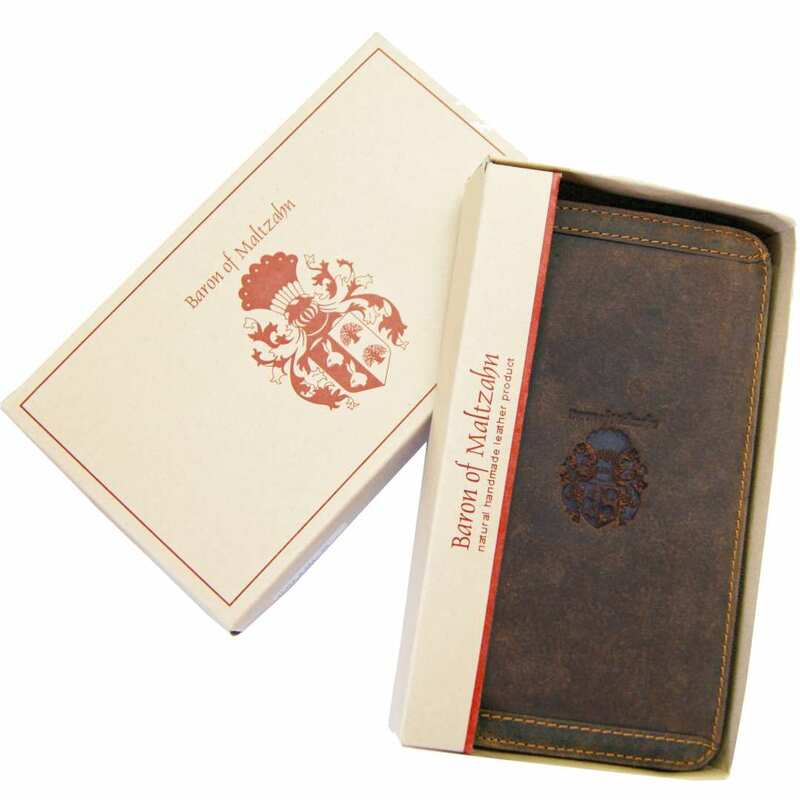 Are you looking for a wallet that fulfills all your wishes regarding money and documents? Do you also attach importance to high quality and an elegant design? Then you should give a chance to the women’s wallet of Western leather and make it your most faithful companion. 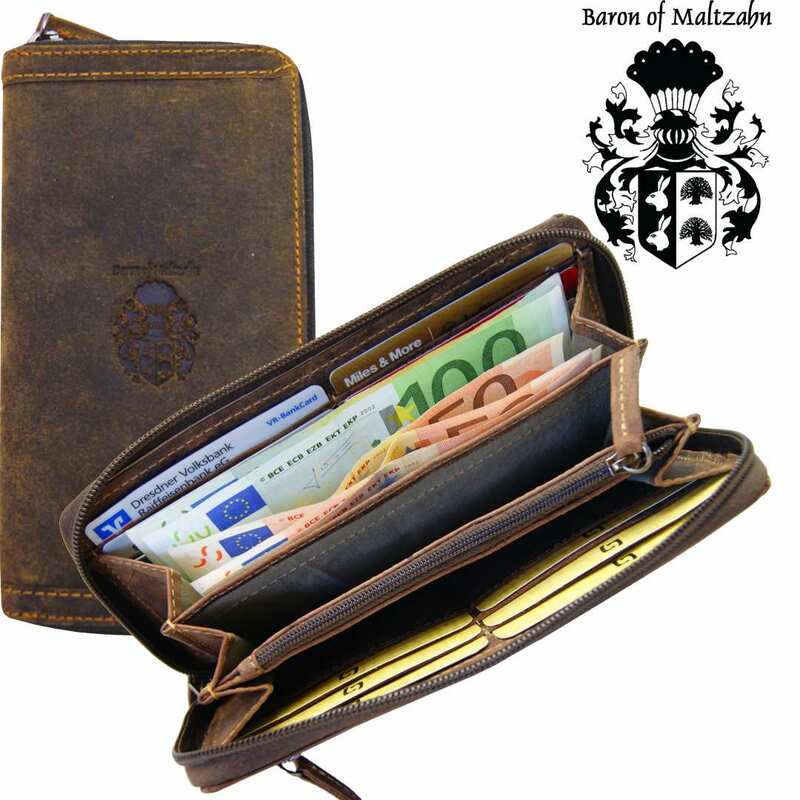 This sophisticated money purse of the Collection BARON of MALTZAHN offers lots of space for banknotes, coins, cards and Co. Thanks to the excellent quality and the careful processing of this article, all your essential belongings will be always safely stored. 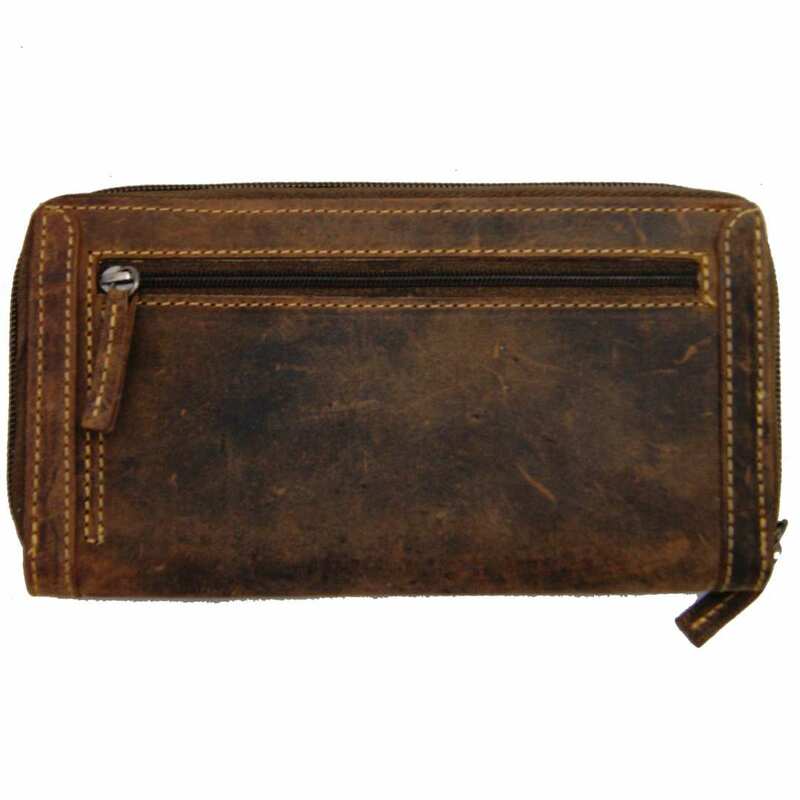 The women’s money purse consists of brown Western leather, which is a natural, unadulterated kind of cowhide that convinces with its fine quality and its individual appearance. Over time, some new colour abrasions may appear on the surface of the article. This intended effect will make your wallet even more special and personal, so that it becomes inimitable and absolutely unique. Experience the nice sensation of attracting all glances thanks to the women’s wallet RIBANNA of Western leather! The inside of the wallet is covered with a smooth lining in order to protect your belongings. 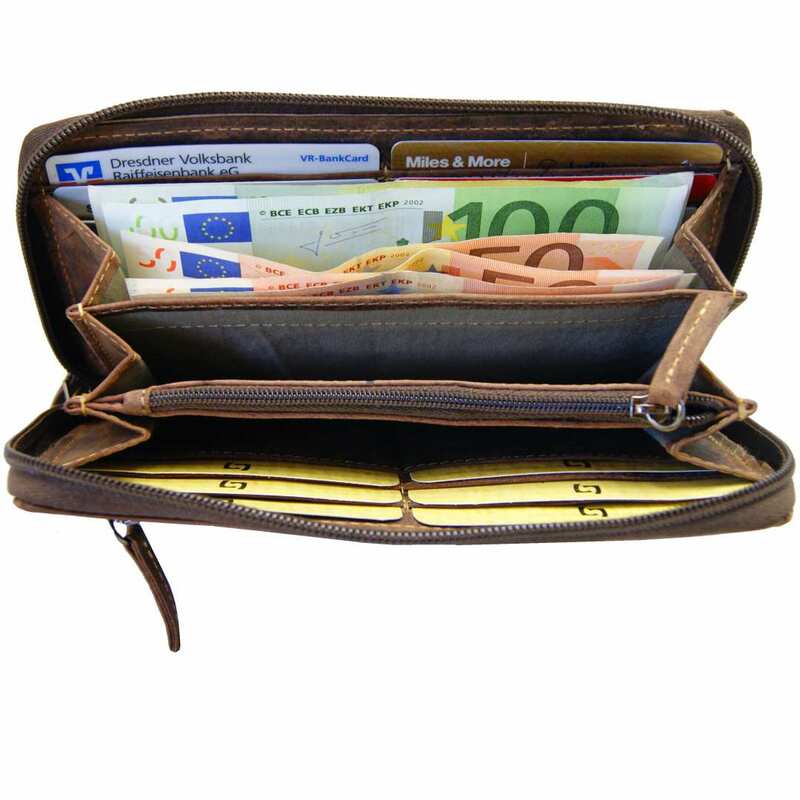 The purse consists of five different parts: three big compartments for banknotes, one zippered pocket in the middle and a total of twelve card slots. The size of the wallet is 7.5 x 3.7 x 0.6 in (19 x 9.5 x 1.5 cm). Some gun-metal fittings complete this model by making it even more elegant. You won’t regret acquiring this fantastic piece of luxury! Order now the exclusive women’s wallet of Western leather and enjoy it for a very long time! Reviews for "Women's wallet RIBANNA brown Western leather"